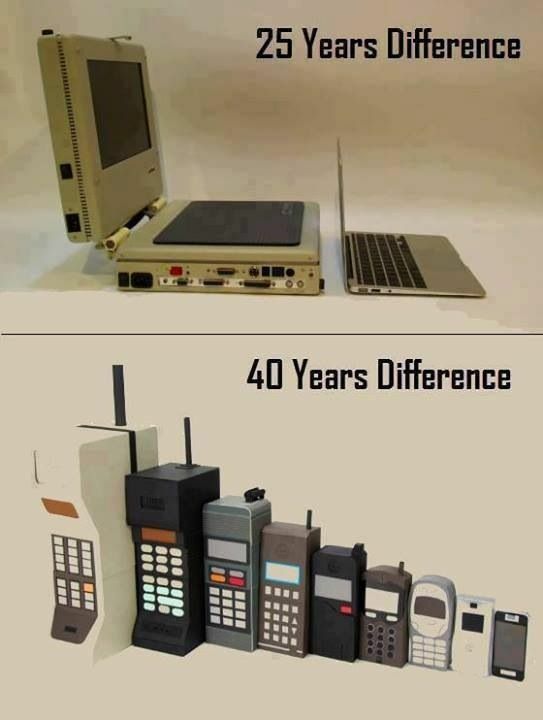 Not quite … but oh, does technology zoom by right now! Goals drive us forward. They also hold us back. Goals often seem too big to get to. The great idea you had the other night feels suddenly less sparkly in the morning: there are far too many steps, it will require more time than you realized, need more attention than you believe you have, more energy than you find within you. You feel overwhelmed. Discouraged. You get stuck. Goals are posts along a journey. It truly is not the destination that matters, but the path you take to get there, what you learn along the way about yourself, about your possibilities, abilities, the things that limit you from stretching up and over into the incredible, the fears that keep you from reaching out. Parents ask me about their children’s therapy: “Will he ever not need help?” they want to know. “Will people ever understand her when she speaks?” They worry how long it will take, how much effort, whether they can make it; can the child. Children, too, talk about their process. “I am not good at this,” they say. “I don’t know how to write this reading response/this essay”, “I don’t know how to understand the story or how to have the words ready in my mouth when I raise my hand.” “Will I still have to see you next year?” they ask. “Do kids sometimes see you even when they are in high-school?” they inquire, wondering in part-worry, part-hope that I will answer in the affirmative: they worry that they can still be ‘different’ by then, and hope that if so, they will not be left on their own. “We’ll get there,” I say. 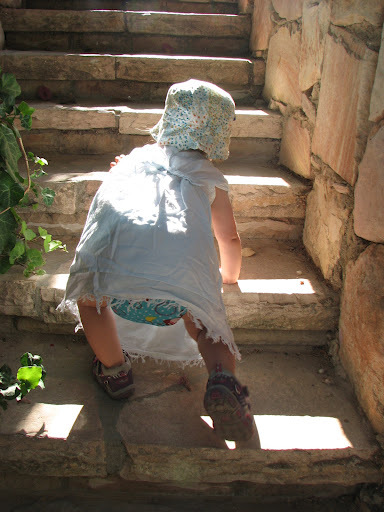 “One step at a time.” It is something most of us hear plenty, and not always helpfully, and I know it is often not what parents and children want to hear from me. However, it is Truth still … even if it stirs the place inside each one of us that wants to ‘get to’ where we’re going faster, that does not want to have to do the work, that wants destinations to arrive without the journey. “Baby steps,” I recommend, knowing that this, too, is often hard to listen to. Who wants to take even smaller steps when the target seems so far away already? BIG steps will get me there oh so much faster! But baby-steps, too, are Truth. Careful, one-foot-then-the-other passage gets us there more surely than a hop-skip-pray-you’re-still-on-the-path would. Baby-steps aren’t slow, really. They aren’t less-than other ways of making progress. Think of it: Babies take brave steps when they begin to walk. They walk and wobble, toddle and fall and rise and try again … and when they get their footing they walk almost constantly. They put little feet on every surface, tackle stairs, grass, sand, uneven ground. They hold on to hands, grab onto what is available. They crawl when there’s no balance to be found in standing. They climb on all fours. They find a way around. They stop and look for a path behind an obstacle and then surge forward in delight when they find it. Their steps get longer, surer, less a-wobble. They accelerate. They run. “Baby steps,” I say. Remind. Consider. It means getting there, and finding much to do along the pathway. It makes the journey part of what it takes, and worthy in of itself. You start with baby-steps, yes. But along the way, you learn to walk. You find your pace. You learn to hop and skip and turn and twirl and run. All you need to do is take step one.